When Discovery Channel came to us asking for a Theme Cooler for Gas Monkey Garage, we were psyched! As fans of the show ourselves, we were excited to do a theme cooler for them. 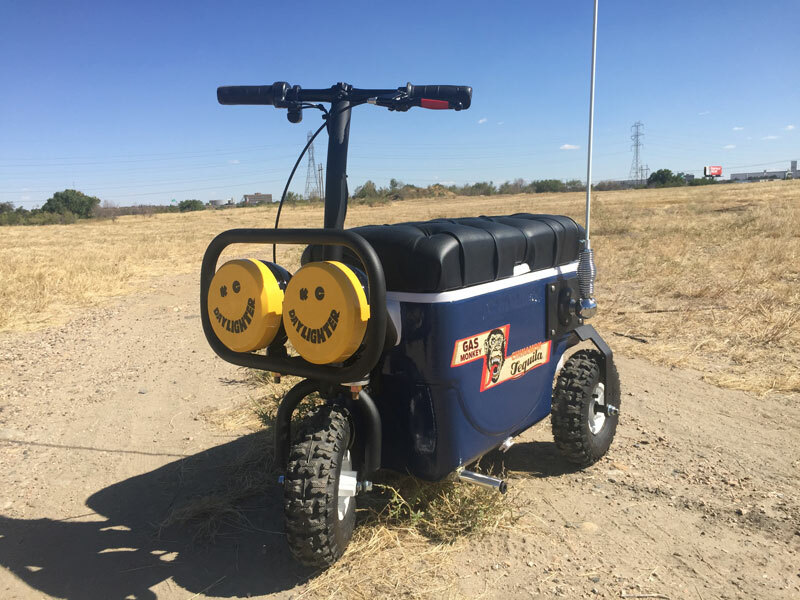 The Cooler is themed after their Tequila Brand "Gas Monkey Tequila" and features a Custom Lift Kit, Off Road Tires, a custom light cage with KC off-road lights. hand made led light bulbs by coolermods to work off the 48V battery, powder coated wheels, old school antenna, and a custom seat. We built the 9/11 Cooler to remember the 343 Firemen that lost their lives on 9/11. The Cooler features Full working Lights, Siren, PA System, and VHF Radio. All parts of the cooler were custom built here at Coolermods. Dual rear wheels, Custom rear brackets, A one-of-a-kind Chopper Front End, Maltese cross's, Siren Cover, Floor Boards, etc. This Cooler means a lot to us here at Coolermods, and, when not at a memorial display or show, sits on display in our lobby. 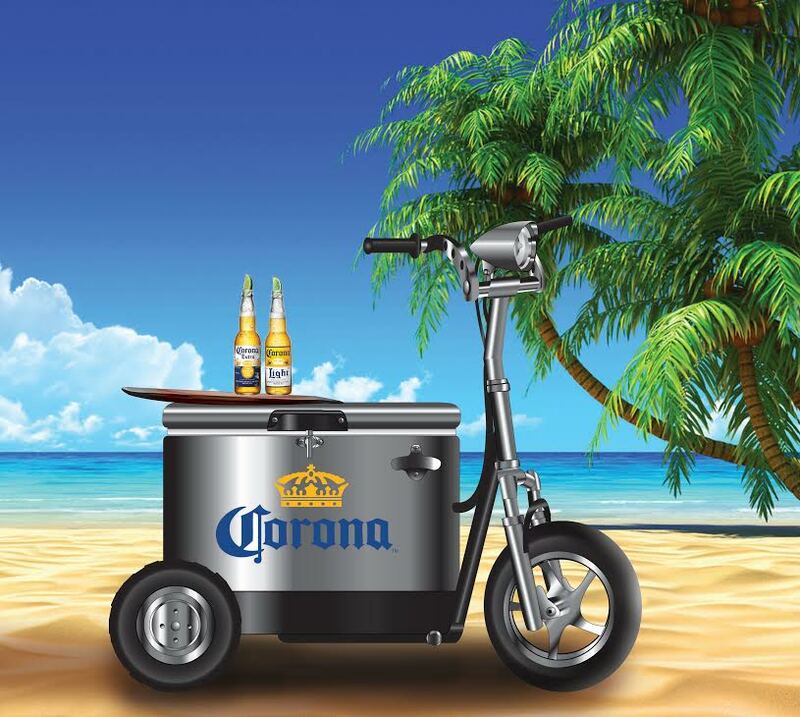 When Corona contacted us to come up with somthing, we decided to start with corona's cooler they currently make, and mod it out. What we came up with was just sweet! The cooler features a custom made surf-board style seat, all chrome chopper front end, custom CM handle bar risers, and chopper style headlight. Simple, yet very cool. One of the cool features of the cooler is its power and speed. It has a top speed of only 4mph, but features incredible torque. It also has reverse and can turn on a dime.